Scientists have learned that meditation can reduce anxiety by as much as 39 % while having also identified the brain areas involved. Zen masters and Buddhist monks, have recognized for a very long time that meditation is able to lower anxiety, however the mechanism has never been clear, until now. “Although we’ve known that meditation can reduce anxiety, we hadn’t identified the specific brain mechanisms involved in relieving anxiety in healthy individuals,” said Fadel Zeidan, postdoctoral research fellow in neurobiology and anatomy at Wake Forest Baptist and lead author of the study. “In this study, we were able to see which areas of the brain were activated and which were deactivated during meditation related anxiety relief,” Zeidan said. For the study, 15 healthy participants with typical levels of everyday anxiety had been recruited for the research. These individuals had no prior meditation experience or anxiety disorders. All subjects took part in four twenty minute training sessions to learn an approach referred to as mindfulness meditation. In this form of meditation, people are taught to concentrate on breath and body sensations and also to non-judgmentally evaluate distracting thoughts and emotions. 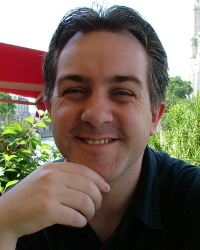 Nigel Magowan is a Manchester Psychotherapist/Counsellor, NLP Master Practitioner and Life Coach. He specialises in the treatment of the various anxiety disorders and has had training in teaching clients to use mindfulness meditation for therapeutic purposes. He is also an Approve Anxiety UK Therapist.